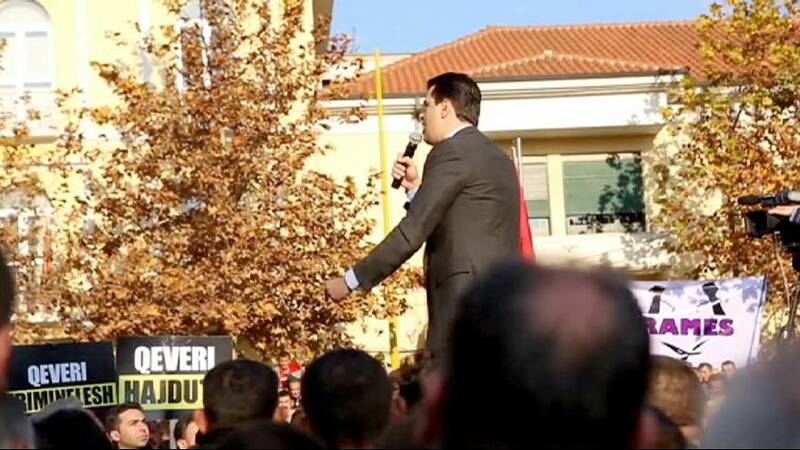 Thousands of Albanians took to the streets to protest over the governments handling of the economy with rising levels of poverty and unemployment. The government has angered many by cracking down on non-payment of household electricity bills, increasing social security contributions and raising income tax. The centre-right Democratic Party is calling for a protest in front of parliament as MPs vote for the 2016 budget. The party chairman Lulzim Basha said the budget had the potential to throw the country into recession and there was only ever “bad news” from this government.